Last week at the IFA 2014, the Chinese company has updated its Helix range with a new model that is thinner, lighter and faster. This is what Lenovo appointed, after much soul-searching, ThinkPad Helix 2, it is one of the first 2-in-1 ultrabooks powered by Intel Core M vPro processor- based Broadwell Architecture. Helix 2 is a tablet with a 11.6-inch Full HD screen and Windows 8.1. Connect it to a keyboard dock and it becomes quite thin and light laptop. It’s also a model with no fan, which makes it very quiet. The new Lenovo model is powered by Intel Core M chip; it has Wi-Fi 802.11ac connectivity, and is thinner and lighter than the model it replaces, the one with the Intel Ivy Bridge chip. The new measurements of the Tablet are 0.38 cm in thickness, for a weight of kilograms. Add a keyboard dock, and it becomes a laptop that weighs pounds. We can also use keyboard as a sort of crutch. Instead of fixing the tablet so the screen faces the keyboard, we can return it to 180 degrees and the screen is opposed to the keyboard. 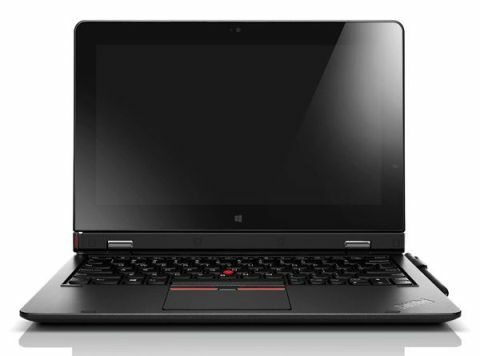 Lenovo Helix 2 also supports ThinkPad digitizer pen in optional to afford a sensitive input pressure. The Lenovo ThinkPad Helix 2 will last 12 hours on a full charge. As mentioned earlier, the Lenovo Helix systems are not cheap. The first iteration was sold for $1,679 when it was launched in 2013; the new model is much more affordable, as the first prices starting at $999. But, it is always for a category of relatively affluent consumers. This is a machine for business users, and it will also offer office docking option, among other accessories. Lenovo Helix 2 should be available in October.